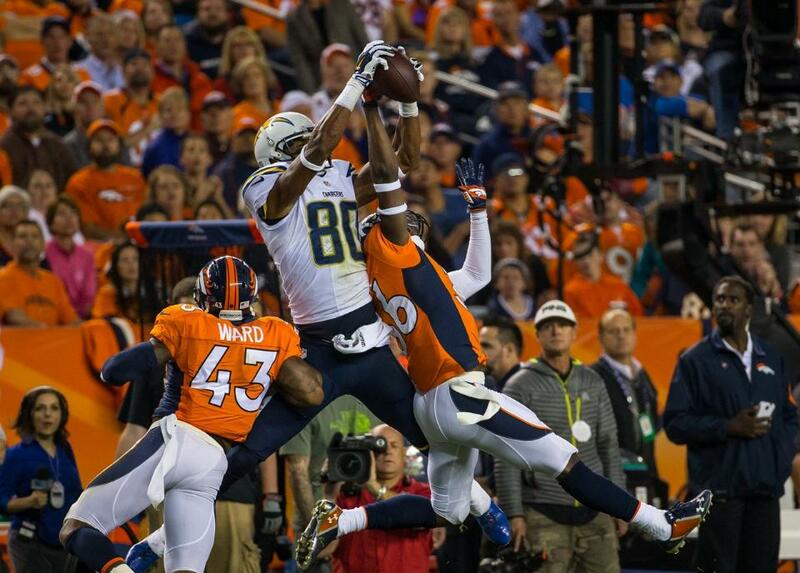 Malcom Floyd added another leaping grab to his already impressive highlights of 2014. Tashaun Gipson was the man again in week 8. The 3rd year undrafted safety intercepted another pass this week adding to his league leading 5 interceptions. Malcom Floyd, WR, San Diego Chargers- Floyd caught 4 balls for 58 yards, with a long of 26 yards in the Chargers (5-3) 21-35 loss to the Broncos. Floyd continues to be the Chargers number one deep threat, but his average yards per reception dipped below 20 after Thursday night. 2014 Stats: 8 G 8 GS 24 REC 470 YDS 19.6 YDS/REC 58.75 YDS/GAME 3 TD. Tashaun Gipson, S, Cleveland Browns- Gipson continues to be one the best at his position in the NFL. The 3rd year safety had 2 TT and came up with his league leading 5th interception on Sunday in the Browns (4-3) 23-13 win over Oakland. Gipson also returned the interception 35 yards, bringing his return total to 146 yards, which is far away the most in the NFL this season. In fact, Gipson is the only defender to have more than 100 interception return yards. Gipson had one pass defended in addition to his interception and his 11 passes defended is good for T8 in the league. His 34 TT and 20 solo tackles are among the team leaders in Cleveland. Fun Stat: Tashaun Gipson now has 8 interceptions in his last 10 games.
.@Browns DB Tashaun Gipson (@Gipson_duos24) has 8 interceptions in the past 10 games. NFL leading five this season. Marqueston Huff, DB, Tennessee Titans- Huff, who made his first career start on Sunday, had 1 tackle and 1 pass defended in the Titans (2-6) 16-30 loss to the Texans. Mitch Unrein, DT, Denver Broncos- Unrein was inactive again this week for the Broncos (6-1) 35-21 victory over the Chargers. Unrein has now been inactive for 6 of Denver’s 7 games. Mike Purcell, DT, San Francisco 49ers- Purcell remains on the Niners practice squad, where he has been all season. Chris Prosinski, S, Free Agent- Prosinski remains a free agent after playing in the Jaguars first three games before getting released after a hand injury.